With our digital printing capabilities we can provide your customer with stapled documents. 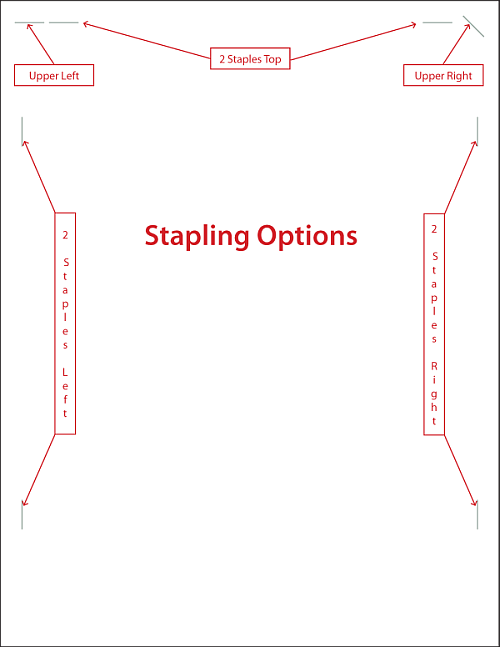 These documents may be stapled in the upper left, upper right or two staples left or right. You also have the choice of black and white, a single color , multiple colors or full color printing. Your finished order can be shrink wrapped or boxed in bulk. Call customer service at 800.633.1228 to order or contact us via the website.